The growth in international tourism provides an unprecedented opportunity for meaningful cultural exchange and economic development. However, if left unchecked, tourism can have adverse effects which detract from its positive potential. A paradigm shift towards responsible tourism is needed to best harness travel’s transformative ability. A quick look at the numbers illustrates just how massive the global tourism industry — and its growth potential — truly are. In 2017, tourist arrivals increased by 7% globally and are projected to rise by 4-5% throughout 2018. Moreover, tourism is currently the world’s fastest growing economic sector. Given these stats, it is not surprising that travel and tourism indirectly or directly supports at least 313 million jobs globally. As travel becomes even more affordable and the global middle class continues to expand over the next ten years, 100 million more jobs will be created. Of course, a surge in tourist numbers is not without its drawbacks. Mass tourism has the potential to cause environmental damage, ruin local cultures and sights as well as pushing up prices and creating economies centred around seasonal, low-paying jobs. Startlingly, despite these damaging impacts, only 5% of the money spent by tourists actually ends up staying in local economies. The tourism industry must also find a way to adapt to climate change. Fortunately, around the world, interest is growing in sustainable and responsible tourism — which focuses on minimising tourism’s footprint while also maximising economic benefits for locals. Responsible tourism also provides the basis for more meaningful experiences by emphasising genuine cross-cultural interactions. 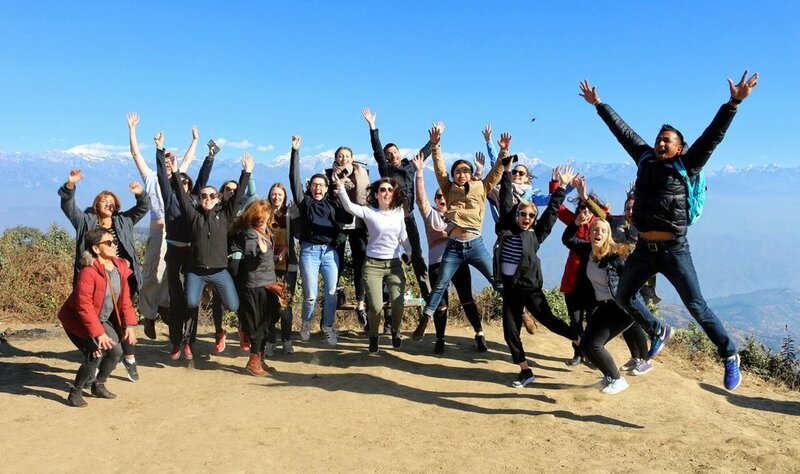 Hands on Development — and its partner organisation Seven Women — are part of a global movement which seeks to truly transform tourism into a force for good. Profits from tours helps fund the training and employment of disadvantaged Nepali women, thereby ensuring that local communities tangibly benefit from tourism. Tour goers also have the opportunity to learn about Nepali cooking, crafts and language, while broadening their perspectives on a variety of global issues. If you want to create positive global change, choose Hands On for your next holiday!